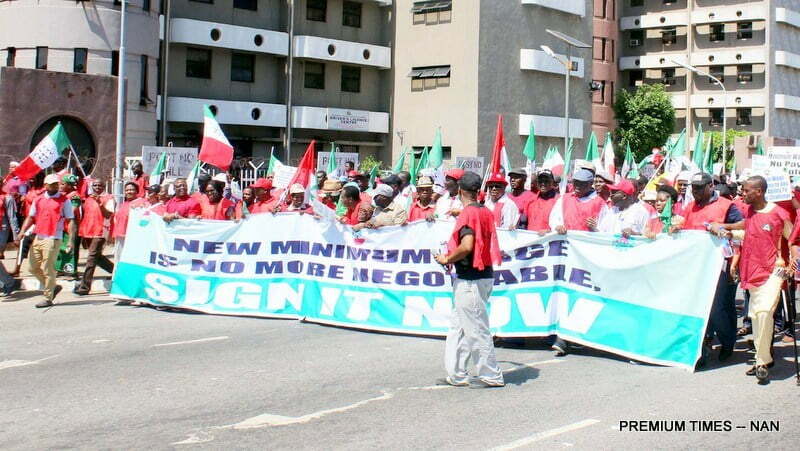 The President of Trade Union Congress of Nigeria, Bobboi Kaigama on Monday called on President Muhammadu Buhari to assent to the N30, 000 National minimum wage bill. Kaigama stated this while speaking with NAN in Lagos State on the implementation of the new minimum wage. The leadership of the Nigeria Labour Congress had called on the President to sign and implement the new wage before the end of the 8th National Assembly. Kaigama stated that the House of Representatives and the Senate need to join hands and agree on the minimum wage for the President to assent to the bill. “The day Buhari signs the new minimum wage bill, it becomes a law effective from that day,” he said. Kaigama stated that the implementation will take effect in the Federal Government easily as it has agreed to include its in the budget but might take a while in some states that had not included it in their budget. He called on the private sector to implement the wage as soon as the bill is enacted into law. He also stated that the Value Tax should not be tied to the implementation of the new wage, particularly in the public sector. “It is unfair to tell workers who pays appropriate tax that you will tie VAT to minimum wage. The organised labour disagrees with the government,” he said. Kaigama said that labour would resist any plan to fund the new minimum wage through increase in VAT.